Today is Day #1 of this tremendous month long sale! There will be different resources on sale everyday, but each offer lasts only one day! 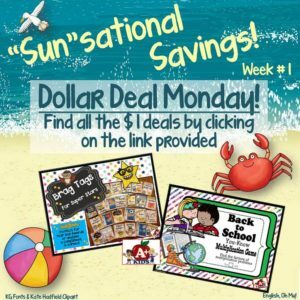 There are over 140 resources posted right now that are priced at only $1, again just for today! So hurry on over to grab a few great bargains! 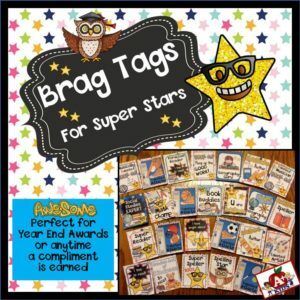 Resource #1 has brag tags to celebrate student achievement in various content areas. 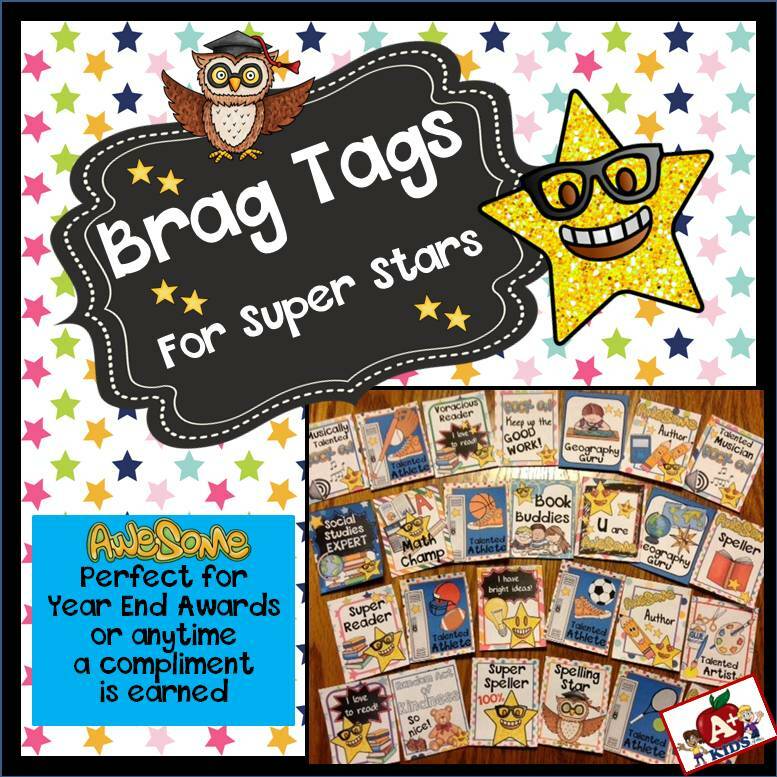 The best thing about brag tags is your kids will be motivated to receive them, they are always on hand and you don't have to run out to buy little prizes and spend $$. 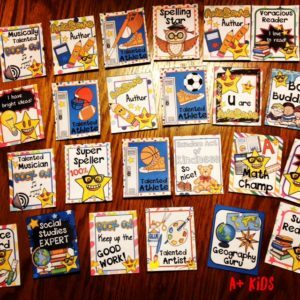 Brag tags are a great tool for behavior management! 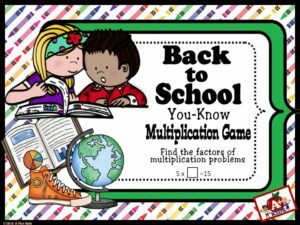 Resource #2 is a multiplication game, based on the popular game Uno, with a back to school theme. Kids love to play while reinforcing the times tables. Of course, the object of the game is to get rid of all the cards in your hand. 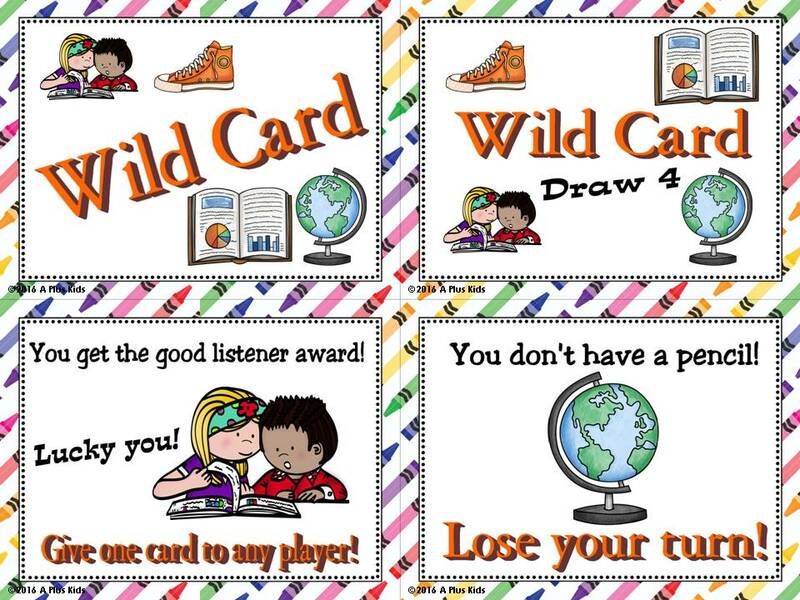 To do that you must match either the answer to the problem on your card or the image on your card to the answer or image for the last card played. A few wild cards are in the deck to add to the fun. 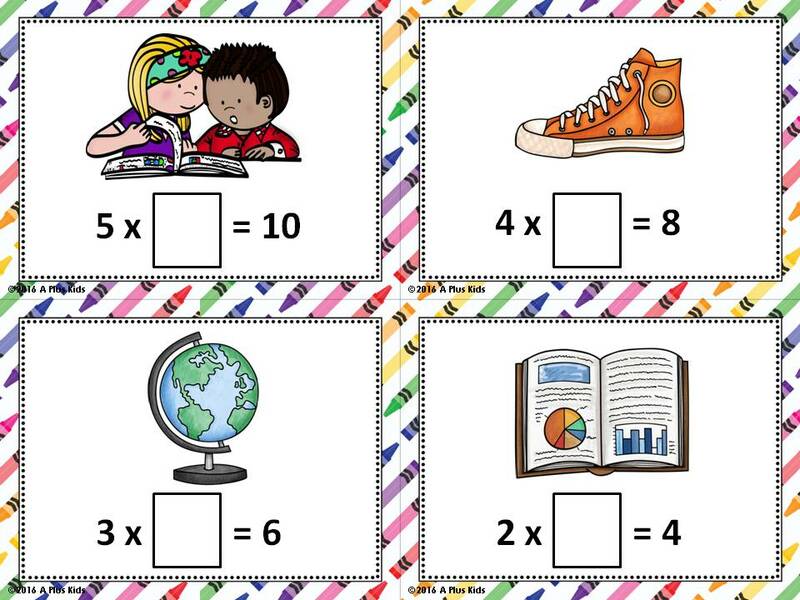 For differentiation: The game can be played at a higher level by removing the cards for the easier times tables. 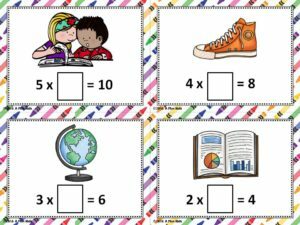 The game can be played for kids just learning their times tables by removing the more difficult times tables. 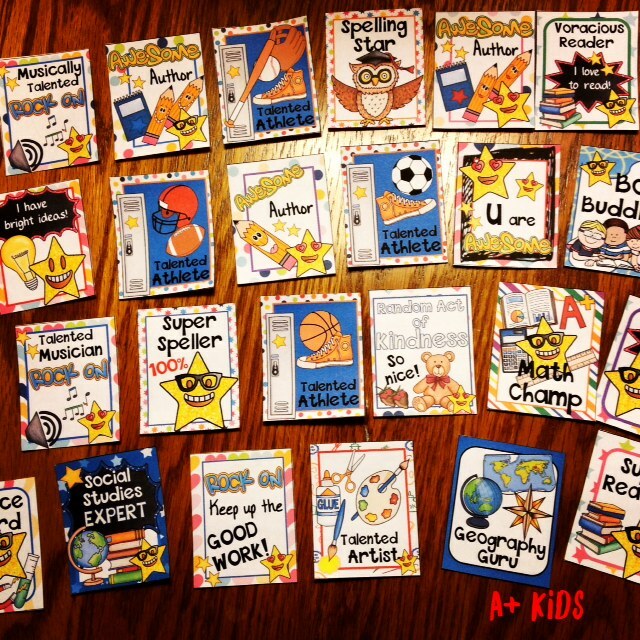 If more cards are needed to play, just print a few extra sheets of the problems you want to reinforce. You kids will love to play this game! Have fun at the sale! Check back tomorrow for the link to more great buys! Posted in Uncategorized on July 3, 2017 by Kathleen.